Greenways Aces are proud to hold Community Amateur Sports Club (CASC) status, which is a true recognition of the work that we are doing for the community. We are a ‘Not for profit’ Club and all income is re-invested into the running of Greenways Aces. Our Club have also been awarded Chartered Standard status which shows the efforts we have made to place every person involved with the running of the club through the necessary courses required (such as FA coaching, First Aid, Safeguarding Children) and all personnel involved have been DBS checked. Greenways Aces have a healthy committee responsible for the day to day running of the Club. Greenways Aces FC is a Gravesend based Football club consisting of, for the current season, 16 league teams ranging from under 7’s to adults. 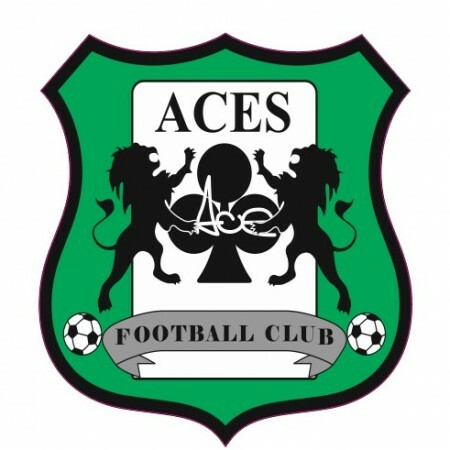 We also have non-league “mini Aces” for children under 6 years old. However the club continues to grow and has attracted many children and adults to the club. We also offer support and assistance to local volunteers who wish to get involved with the club in a non-playing capacity and have to date financed over 30 training courses producing FA qualified coaches, Child Welfare specialists and Referees. Our club is very much a family club set up in memory of the late Jason “Ace” Gill. Our club has been running for 10 years and has in this time gone from strength to strength becoming one of the largest sports clubs in the community. All are welcome and all are supported. Our club grows by the month due to the excellent coaching provided and our club philosophy that football should be enjoyed by all, regardless of ability, and we find ourselves taking on players who have been turned down or dropped by other clubs. Each individual’s player development is of utmost importance. In partnership with PrinterCartridge Recycling Ltd a leading recycling company, we have developed a scheme to turn your empty inkjet cartridges into valuable funds to help continue our work. If you would like to help raise funds for Greenways ACES whilst at the same time reducing the amount of waste consigned to landfill please use the contact us below. If your items are eligible, please call us on 0333 323 7677 or fill in the contact us form below and we will ensure that your items are recycled on behalf of your chosen charity. Once your free collection is arranged we will send you packing and further instruction. All proceeds go to Greenways ACES. If you are using Internet Explorer v9 and the Captcha Number is not recognized you should turn on "Compatibility View". 1. Press the Alt key to display the Menu bar (or right–click the Address bar and then select Menu bar). 2. Tap or click Tools, and then tap or click Compatibility View settings. 3. Add website to list of ‘websites you’ve added to compatibility view’. 1. Press the Alt key to display the Menu bar (or right-click the Address bar and then select Menu bar). 3. Add website to list of "websites you've added to compatibility view". We will pay you for most inkjet cartridges you recycle with us. While doing your bit for the environment, you are also helping out your bank balance at the same time. As an individual you can enjoy the benefits of earning additional money by recycling your inkjet cartridges.